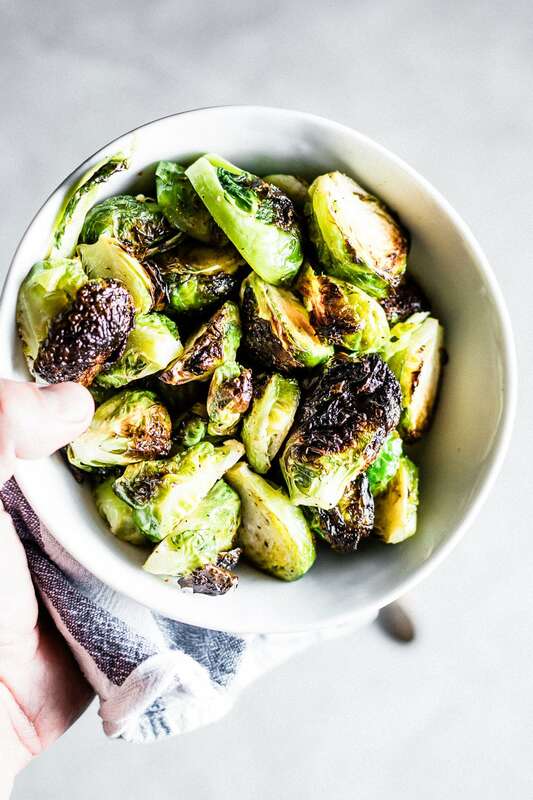 Three ingredient crispy roasted brussels sprouts will be on the table in just 15 minutes and are so delicious. Oh brussels sprouts. 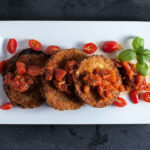 They can be so delicious in so many ways with so many different sauces. They might be great, boiled, sautéed or even raw; but did you know that cooking them under the broiler might just be the best way to cook them of all? Many cooking methods overcook brussels sprouts before they get crispy. I know you know what I’m talking about. 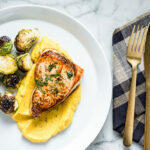 Overcooked brussels just aren’t optimal. The broiler is one of the best methods for getting them crispy, but not overcooked. 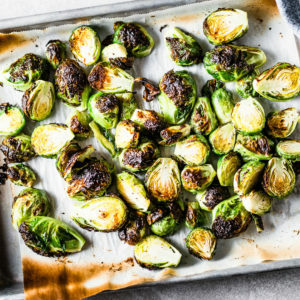 They turn out crispy on the outside, perfectly tender but slightly crunchy and you can really taste the sweetness of the brussel sprouts. 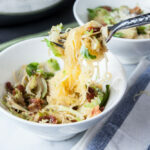 How to trim brussels sprouts? 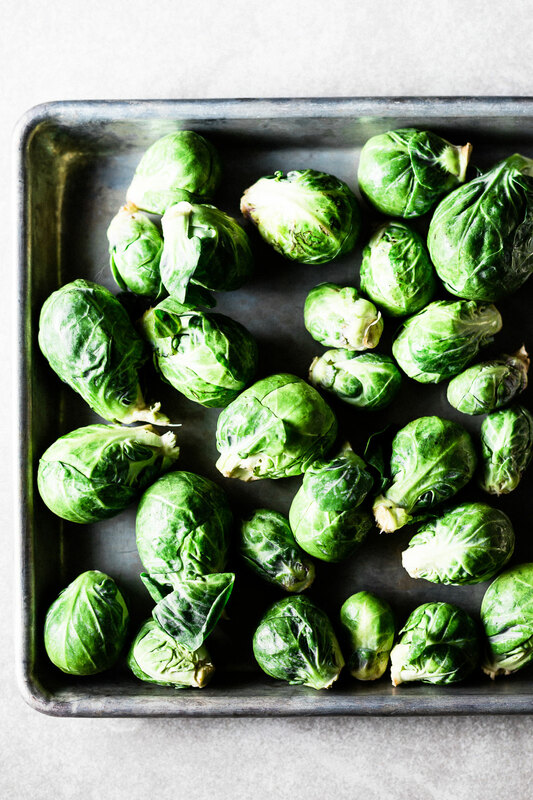 Rinse and drain the brussels sprouts to remove any dirt that might be attached. With a sharp knife, trim off about 1/4″ of the stem end, then remove any loose leaves (saving them for another use like a salad). 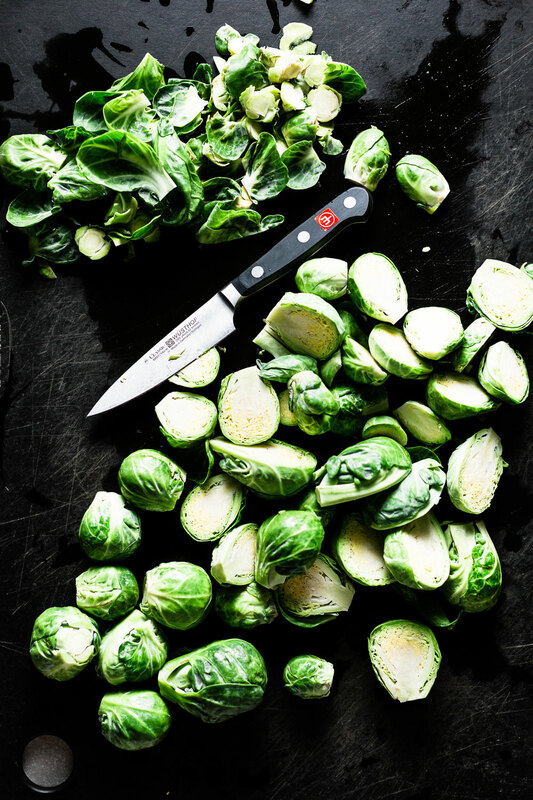 Cut the brussels sprouts in half lengthwise before cooking. 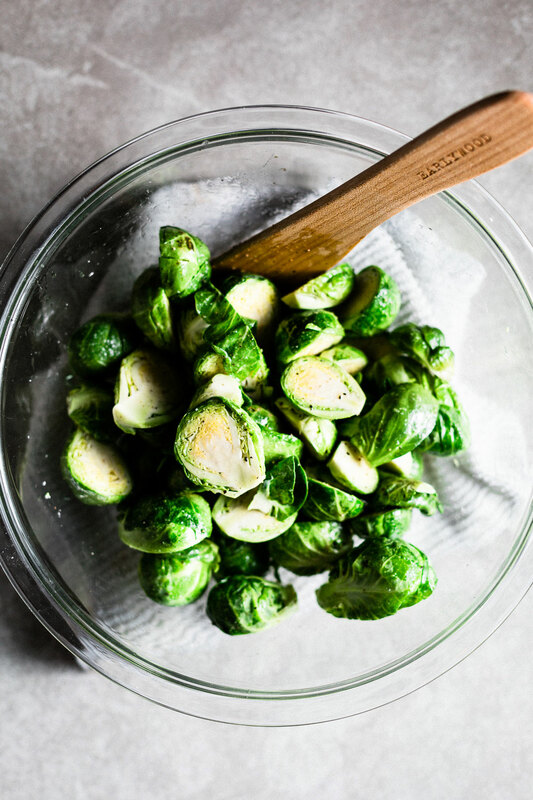 Add the halves to a bowl and sprinkle the kosher salt, freshly ground pepper and the sugar evenly over the brussels sprouts. Adding the dry ingredients before the oil will allow it to evenly distribute throughout. Then add the olive oil and stir to coat. The small amount of sugar will promote caramelization and and the oil will prevent sticking and make them extra crispy under the broiler. When you see the leaves start to turn dark, that’s just the first layer and that will turn into crispy goodness. All ovens are a little different and since they are being cooked under the broiler, you will definitely want to keep an eye on them to make sure they don’t turn into crispy charcoal, as all ovens are different. 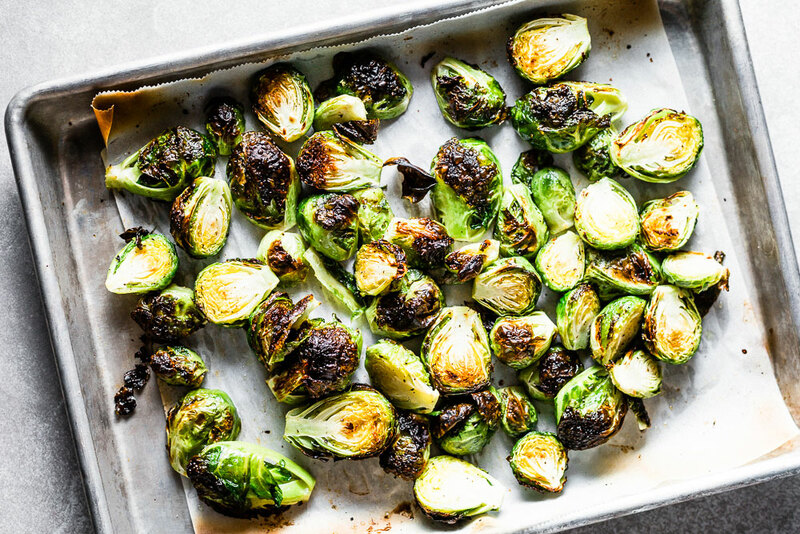 Place a sheet pan that will fit the brussels sprouts in the oven and preheat oven on broil. 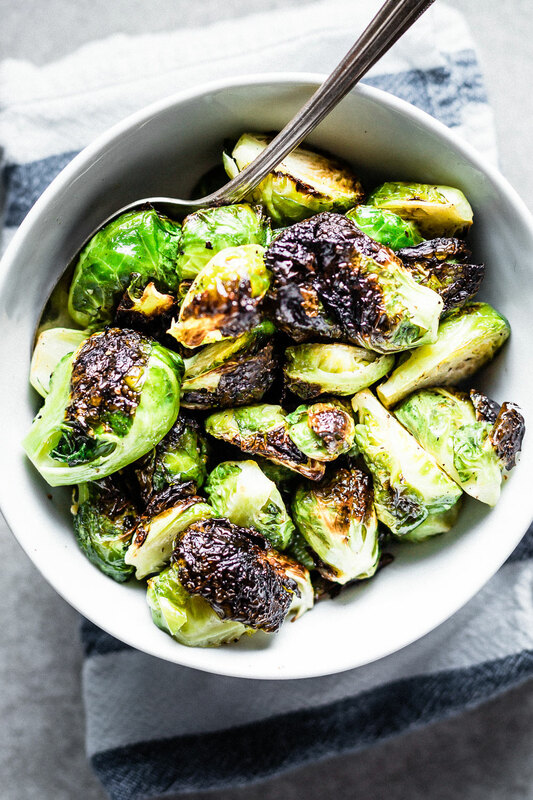 In a bowl, combine the brussels sprouts with salt, pepper and sugar. Then mix in the olive oil. Transfer brussels to a piece of parchment paper that has been pre-cut to fit on the sheet pan. Very carefully place parchment + brussels onto the sheet pan in the oven. Broil for 6 minutes then stir and rotate the sheet pan to promote even cooking. Broil for another 6 minutes or until brussels are cirspy but not burned. The outer leaves will get crispy. Monitor carefully as all broilers are different. 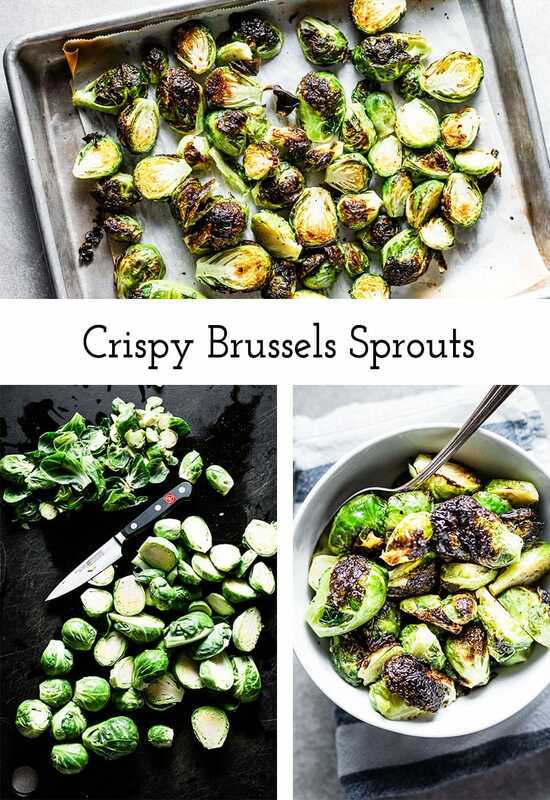 I am not-so-secretly obsessed with brussel sprouts…and a little bit crispy like this is the best way to prepare them! I’ve never tried it with a bit of sugar so I’m excited to try this!